They died on the black sands of Isstvan V, and the red sands of Mars. They fell leading doomed boarding actions at Phall, and cursing the names of their former brothers at the walls of Terra itself. They are called by many names: Captain, Thegn, Magos and Marshal. They are the Unsung Heroes of the Horus Heresy, and they are the heart and soul of our armies. 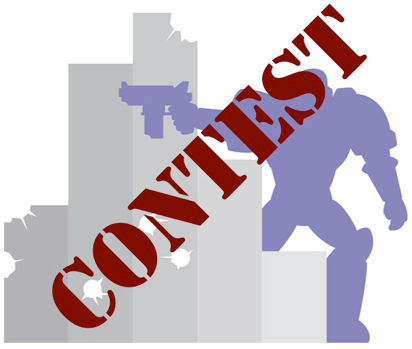 Variance Hammer is running another contest! This time, we’re going to be focusing on Heresy-era gaming, and the characters that bring our tabletop battles to life. But we’re not talking about a Primarch, or Alexis Pollux, or Sevatar or Lucius. We’re going to focus on your characters. So, that really cool Centurion who managed to cut his way through a squad of Gal Vorbak? The Arch-Magos who just cannot be killed? And there will be prizes. Really a lot of prizes. We’ve got some really awesome prizes lined up from an amazing slate of sponsors. The Dates: The contest will run until October 31st, 2018. The Entries: All entries should include and original entry of no more than 2,000 words describing an independent character who is your original creation in the Horus Heresy setting. That means no special characters, or characters who are subjects of Black Library novels, Forge World “Black Books”, etc. This can take any form you like – an in-universe recount from a Remembrancer, a Forge World-style profile, a short story that speaks to their background and character, etc. Additionally, each entry should have at least one picture of the character in miniature form. Because this contest is about the characters in your armies, this does not need to be painted specifically for the contest. Additionally, please note if your figure has been painted by someone else – these entries will not be eligible for any of the painting-related rewards. We’re going by the honor system here. Originality: How original is your idea? Artistic Merit: How engaging is the story? How well does the narrative flow? Is it good? Technical Merit: Is it well written in the technical, 8th Grade English Teacher sense of the word. You’re not going to be marked down for some flawed sentence structure here, but proofread your stuff. Originality Merit: How unique is the color scheme? Is this a nicely done conversion? Does the character have…well…character? Artistic Merit: How well painted is it? At the end, these scores will be averaged over all three reviewers, added up, and that is the entry’s total score (a perfect entry, worth of both a studio job painting, and the authorship of the next Horus Heresy book, would have a score of 25). Any tied scores will be decided by the administrator of Variance Hammer. Primarch: The highest overall score in both categories is our grand prize winner, and will receive a DL2 aluminum case with their choice of trays inside courtesy of KR Multicase, a £40 voucher to Forge World, a £25 voucher to Anvil Industry, a $10 voucher to Conversion World and finally a blister pack of Heavy Heat Rays from Kromlech. Fabricator-General: The highest overall score for the painted miniature category (who did not take the Primarch prize) will win a $150 voucher to Secret Weapon Miniatures, a £25 voucher to Anvil Industry, a $10 voucher to Conversion World and finally a blister pack of Heavy Heat Rays from Kromlech. Remembrancer: The highest overall score for the narrative category (who did not take the Primarch prize) will win a $100 voucher to Game Workshop/Black Library or 6 months of Audible, a $10 voucher to Conversion World and finally a blister pack of Heavy Heat Rays from Kromlech. Depending on how many entries we get, there may also be some bonus raffles of various and sundry Variance Hammer swag. And for those of you building your entries, if you order a piece from Conversion World, we’ll be raffling off additional discount codes. A permanent link to these rules is at http://variancehammer.com/contest/ . Please feel free to ask questions below, or on Facebook, email or Twitter and we’ll toss them up on the FAQ. Do you have to use GW products in your model? I ask because my Imperialis Militia use 3rd party models. Nope! It’s got to be something that can credibly be fielded in Horus Heresy as a model where your opponent wouldn’t have to go “What on earth is that supposed to be?” but 3rd party stuff is absolutely fine. Can Dreadnought characters enter ? This has been answered on the facebook page, but the answer to this is Yes.